ZipThruBorders Immigration Consultants Inc. is a team of highly trained professionals with an in-depth knowledge about Canadian Immigration laws and processes. Our head office is in Edmonton, Alberta, Canada. 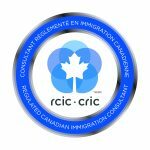 ZipThruBorders is registered with ICCRC. Copyright © ZipThruImmigration. All rights reserved.